Did you know that the vast majority of search engine users never scroll past the first page of results? What’s more, these same users generally click on organic search results over paid ads, even if they’re above the organic search results. Estimates vary, but it’s generally believed that about 75% of people click a link on the first page of the search results and believe it or not the majority of clicks are not to paid ads. Nobody needs to tell you that this is a huge group of people. If you’re not ranking well in the major search engines like Google, Yahoo, and Bing, you’re not going to have the opportunity to sell them your product or service. With this in mind, why is it that so many small- and mid-sized businesses hire web development firms that have no clue about SEO (Search Engine Optimization)? We’ve seen it a hundred times, and sometimes our collective jaws drop when the business owner tells us what they paid for their website… which isn’t ranking at all. So really, the question you have to ask yourself is this: what good is a website if nobody ever visits it? Don’t be like the business owners we just described. When you’re shopping around for a web developer, one of the first things you should quiz them about is their knowledge of SEO and how they incorporate it into their end design. Will your design be SEO-friendly? If so, how? This line of questioning is so that you can get a rough idea of their abilities and working SEO knowledge. The follow up “If so, how?” is to avoid a simple “Of course!” response. How long have you been working with your oldest client? Since some firms may use risky, short-term SEO practices, this question is designed to give you an idea of longevity. It’s not an end-all-be-all question—plenty of young firms do good work—it’s just an indication you can use for your overall assessment. What is the most important SEO factor to rank well? This is the first of a handful of trick questions. There isn’t really a correct answer since good SEO involves a variety of moving parts, but it can give you some insight into what tactics the firm values over others. Can you guarantee my site will be ranked #1? The last of the trick questions. No firm (not even ours) can “guarantee” a site will be ranked #1. We can pull out all the tricks from up our sleeve and be very confident in our abilities, but the only entity that could make a guarantee would be Google itself (and it won’t). These are just starter questions. Your web development firm may bring up other points about SEO. If you come across something you don’t understand, don’t hesitate to ask for clarification—you’re the customer. SEO can be broken down into two categories: on-page SEO and off-page SEO. Off-page SEO are all the things one might do to improve rankings outside of their own website (e.g., an inbound link from an authoritative website, news platform, or educational resource). Conversely, on-page SEO are the techniques used on your website itself. A huge number of things can and should be optimized, with very basic examples being the meta description, title tags, alt text, or image compression. Bottom line? A web developer familiar with on-page SEO best practices and current industry trends can implement these design methodologies on your behalf. A “regular” web developer can’t. It’s probably impossible to say for sure, but most experts agree that statistically, at least 70% of the search engine market share is owned by Google—meaning that over two-thirds of Internet users conduct their online searches using Google rather than alternatives like Bing or Yahoo. This isn’t to say that search optimization for platforms like Bing or Yahoo is unimportant, but it does mean that your site designer should be very familiar with what Google likes and doesn’t like…which often involves being on the cutting edge of SEO industry news. 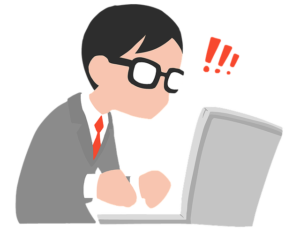 Ask your website designer what they think of Google’s latest algorithmic changes. 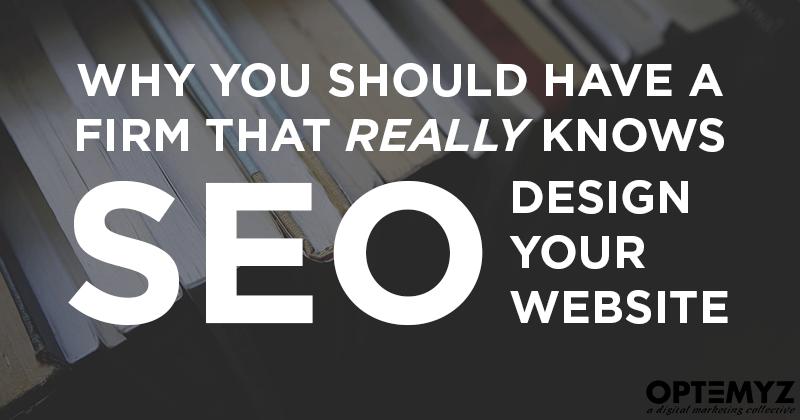 If they hem and haw, you’re probably not working with an SEO-minded designer. …And what about Yahoo and Bing? This is a bit of an oversimplification, but generally holds true: they follow the “leader of the pack.” Usually what works to get a site ranked well on Google will also work for ranking on Yahoo and Bing. Many inexperienced web developers prioritize style and looks over function and speed. The (incorrect) thinking here is that if the site “looks pretty,” the client is more likely to be impressed and pay the big bucks. 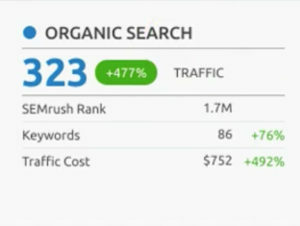 Down the line, the business owner realizes that despite a good looking site, their rankings have suffered for an “inexplicable reason”… if they were even ranked for any major keywords to begin with. We can’t speak to the practices of other firms, but for most usage scenarios Optemyz resolves this issue by using a lightweight framework. There are several good ones on the market, but we’ve found that Genesis usually does the trick. A framework is the underlying code of a website that everything else is built on top of. Without a lightweight framework, you’re more or less starting at a speed disadvantage. A good way to think of it is that your website is like a race car. Drivers are always trying to reduce the weight of their vehicle, because this improves speed. Add in a dash of other digitally “aerodynamic” tweaks and you’ve got a site that looks awesome and loads quickly—which Google loves. The bottom line is that Site Speed is an important measurement and a Google ranking factor. Make sure you a hire a Web Designer that understands this or take a few pointers from this handy little guide by Authority Hacker. Obviously, this post is geared toward convincing you that working with an SEO-minded web development team, like the one at Optemyz, is in your best interest. Here’s the thing though…. this advice isn’t just a thinly-veiled sales pitch wrapped up in a pretty blog post. Make no mistake about it: our advice to you—whether you choose to work with us or not—is to hire a web developer that knows SEO. You will avoid so much wasted money and future headaches it’s not even funny. This is the same advice that we would give to our closest family and friends. If, by any chance, you do decide that you’d like to work with us, then by all means, we would love to start a conversation with you.